There are many names and titles of Jesus found in the Bible, and there is a description or illustration of his life and work contained in each of them. Let's examine some of those names, and gain the lessons to be found in their deeper meanings. "This is how the birth of Jesus the Messiah came about: His mother Mary was pledged to be married to Joseph, but before they came together, she was found to be pregnant through the Holy Spirit. Because her husband Joseph was faithful to the law, and yet did not want to expose her to public disgrace, he had in mind to divorce her quietly." 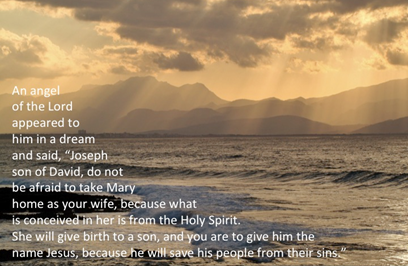 But after he had considered this, an angel of the Lord appeared to him in a dream and said, "Joseph son of David, do not be afraid to take Mary home as your wife, because what is conceived in her is from the Holy Spirit. She will give birth to a son, and you are to give him the name Jesus, because he will save his people from their sins." All this took place to fulfill what the Lord had said through the prophet: "The virgin will conceive and give birth to a son, and they will call him Emmanuel"(which means "God with us"). At first reading, that passage may sounds rather odd – the angel says to Joseph, "thou shalt call his name Jesus, that it might be fulfilled, they shall call his name Emmanuel." 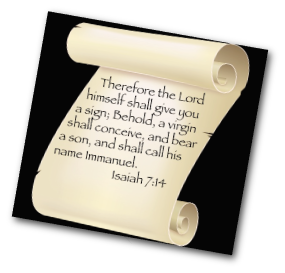 Why didn't Joseph call his name Emmanuel, like the prophet Isaiah prophesied (see Isaiah 7:14)? 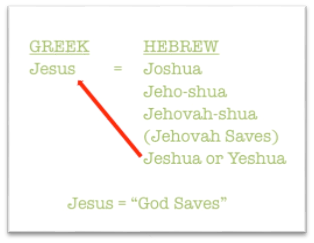 Bible dictionaries tell us that Jesus is the Greek form of the Hebrew name Joshua. The full form of the name Joshua has two parts – Jeho-shua, or Jehovah-shua, meaning "Jehovah saves." Later, this name assumed the form Jeshua, from which came the Greek form Jesus. So the Hebrew origin of the Greek name Jesus literally means "Jehovah saves," or, "God saves," and he was given that name to describe the mission of his life, to save the people from their sins, as we just read in Matthew 1:21. Now, how about the name that was prophesied to be given to Jesus - Emmanuel? Once again, understanding the meaning of names makes everything clear. In Hebrew, the word "El," means "a mighty one," and it is often used in the Old Testament to refer to God, and also to mighty men of earth. The word "El" was often made part of peoples' names to include a reference to God. For example, the name Elijah, or El-i-Jah, begins with "El" and means "Jehovah is God". The name Daniel, or Dan-i-El ends with "El" and means "God is my judge." 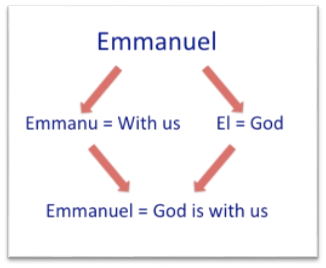 In the name Emmanuel, Bible dictionaries say that the first part of that name, Emmanu, means "with us." So the entire name, Emmanu-el, means, "God is with us." And indeed, God was with mankind, in that He turned His favor toward mankind, when He gave us His only begotten son to be Jesus - the savior of the world. Thus the scripture in Matthew chapter one is not so confusing when it says, "thou shalt call his name Jesus, to fulfill the scripture in Isaiah that says they shall call his name Emmanuel." Both names convey the thought of God sending His son, Jesus to be the savior of the world. But what is the deeper meaning of the name Jesus? What is the deeper significance of Jesus' life and work to save the people, all mankind, from their sins? What are we saved from, what are we saved to and how? Many Christians say that if we accept Jesus as our savior, then we are saved from our sins and an eternity in hell, and we are saved to Heaven. However, if we take a deeper look at what the Scriptures really teach about being saved, we'll find that that theory is not as accurate as many believe. A good first question to ask is, "What does the Bible say is the punishment for sin? Is it hell?" The Bible answers in Romans 6:23, "For the wages of sin is death." The punishment for sin is death, not hellfire. A related question to ask then is, "Why do people grow old and die?" 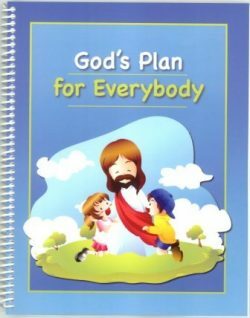 The Bible answers with three scriptures, beginning with God's punishment upon Adam in the Garden of Eden, and by extension, to all of his descendants, aka the entire world of mankind. Genesis 2:16,17 (KJV), "And the LORD God commanded the man, saying, of every tree of the garden thou mayest freely eat: But of the tree of the knowledge of good and evil, thou shalt not eat of it: for in the day that thou eatest thereof thou shalt surely die." Romans 5:12 (KJV), "Wherefore, as by one man (Adam) sin entered into the world, and death by sin; and so death passed upon all men, for that all have sinned"
Psalms 51:5 (KJV) expresses the inescapability of death: "Behold, I was shapen in iniquity; and in sin did my mother conceive me." From the day each of us were born, we inherited the penalty God imposed upon Adam, which was death. And that's why everyone grows old and dies. We've established what we are saved from, namely death. What are we saved to, and how? 1Timothy 2:3-6 tells us, "For this is good and acceptable in the sight of God our Saviour; Who will have all men to be saved, and to come unto the knowledge of the truth. For there is one God, and one mediator between God and men, the man Christ Jesus; Who gave himself a ransom for all, to be testified in due time." 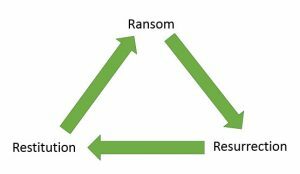 That word "ransom" means, "a corresponding price." The Apostle Paul explains how this ransom works in 1 Corinthians 15:22, "for as in Adam all die, even so in Christ shall all be made alive." The verse before completes the lesson of salvation. 1 Corinthians 15:21, "For since by man came death, by man came also the resurrection of the dead." That is, by one man's (Adam's) sin of disobedience, death came upon him and all mankind. 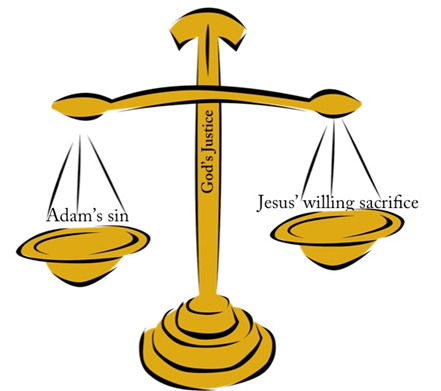 By one man's (Jesus') willing sacrifice of his life on the cross to provide that ransom, the corresponding price for Adam and all mankind, the scales of God's justice were balanced. Mankind was saved from the just penalty of death for the sin of Adam, to life because of Jesus in the resurrection. Now from the deeper meaning of the name Jesus, we have a more complete picture of salvation, and its two main features of ransom and resurrection. Jesus is the savior of the world because by his ransom sacrifice; he saved mankind from death, to a resurrection to life. We also gain a correct understanding of the nature of man, specifically that he is mortal and does not have an immortal soul, because if man had an immortal soul that could not die, then there would be no need for the resurrection of the dead, which is so clearly taught in the Bible. shoulder: and his name shall be called Wonderful, Counselor, The mighty God, The everlasting Father, The Prince of Peace. Of the increase of his government and peace there shall be no end, upon the throne of David, and upon his kingdom, to order it, and to establish it with judgment and with justice from henceforth even for ever." The first thing to notice about this scripture is that it is describing two different time frames. The first part is fairly obvious – "For unto us a child is born, unto us a son is given" was fulfilled over 2,000 years ago when Jesus was born in Bethlehem. But then, the rest of these verses describe a time that is still future. We determine that because the tense changes from present ("unto us a child is born") to future tense ("and the government shall be"). It is also obvious from looking at the current state of the world that Jesus' government and kingdom of peace have not yet been established with judgment and justice. But when it is, all mankind will recognize that it is the government we have always wanted, but never had. So what will this promised government, this kingdom of peace, actually be like? The kingdom was actually the most frequent topic that Jesus preached about during his 3½ year ministry on earth. In Matthew 6:10, Jesus taught his disciples how to pray: "Thy kingdom come. Thy will be done in earth, as it is in heaven." Notice that the kingdom is on earth, and when it is fully established, the will of God will be done on earth, just as it is done in heaven. God's will has always been for all of mankind to be happy and live in righteousness and peace with one another. 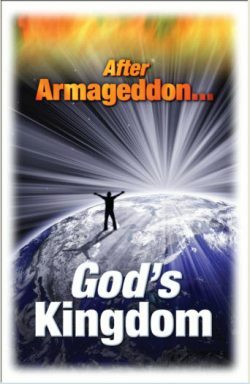 In the kingdom, after this painful learning experience mankind has endured from the time of Adam's disobedience in the Garden of Eden to today (while God has permitted evil to rule), all will have the opportunity to choose to obey God's laws and principles. If they do, they will live forever. 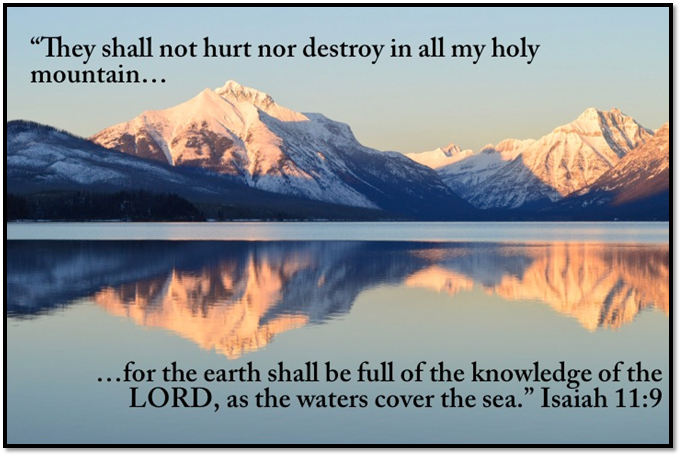 Isaiah 11:9 tells us, "They shall not hurt nor destroy in all my holy mountain: for the earth shall be full of the knowledge of the LORD, as the waters cover the sea." Here "mountain" is used as another word for "kingdom" or "government," and notice that the earth will be full of the knowledge of the Lord, just as the Apostle Paul wrote in 1 Timothy 2:3-6. God's will is that all men will come to know Him and the truth of His plan for the kingdom. And Jesus will be mankind's Counselor, or teacher, in that kingdom. He will be a guide to give assistance and direction to the billions of people resurrected in the kingdom to help return them into harmony with God. His name, The Mighty God, or Mighty One, will then be recognized on earth and in Heaven. As the heavenly, Divine being he became after his own resurrection, he will have all the power necessary to not only resurrect mankind, but also to bring to pass justice and righteousness for everyone. The name, The Everlasting Father, will apply to Jesus as the Life-Giver of the world. In the kingdom, he will be giving "life more abundant" to mankind—everlasting life to all who will obey Him. He will be a father who will give everlasting life to all humanity. All the world of mankind, resurrected from the grave, will obtain their right to everlasting life as human beings in an earthly paradise. His name, The Prince of Peace, will not apply to Him at the beginning of the kingdom, when he will be tearing down the current systems of this present evil world. But true peace will quickly be established, and he will eventually be known as The Prince of Peace, whose reign will be undisputed and uncontested. "Of the increase of His Government or of peace there shall be no end" (Isaiah 9:7, KJV). And combining all these names and the future works they reveal to us, his name will be Wonderful - the one who will be recognized by all, as the embodiment of divine justice, love, wisdom and power. That will be the kingdom on earth for which Jesus taught us to pray, "Thy kingdom come, thy will be done, on earth as it is in heaven" (Matthew 6:10, KJV). Another name of Jesus is King of kings and Lord of lords found in 1 Timothy 6:15. 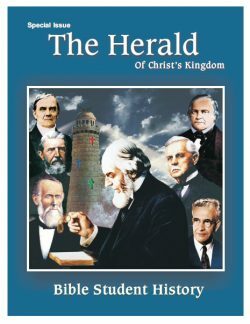 Speaking of Jesus, it says, "Which in his times he shall shew, who is the blessed and only Potentate, the King of kings, and Lord of lords;"
The meaning of this title is fairly straightforward, and this scripture also tells us what the other scriptures have been telling us about the kingdom, primarily that it is not yet fully established, but is coming soon. An ordinary dictionary says that Christ comes from the Latin word "Christus," which in turn comes from the Greek word "Khristos," which means anointed. So this name, Christ, carries the thought of anointed. We can understand that because we have a few English words derived from Christ, which convey this idea of anointing. We speak of babies and even ships being christened, with some ceremonious application of a liquid in the manner of anointing. 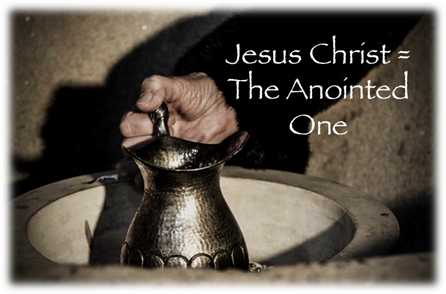 The compound name Jesus Christ therefore means "Jesus Anointed," or "Jesus, the Anointed One." To understand the deeper significance of this name, let's first consider what it meant to be anointed in the Bible. In Old Testament times, a special oil was prepared, according to a formula given by God in Exodus chapter 30. And this special anointing oil was to be used only to anoint the people who were to serve as Israel's priests, as well as the furniture and utensils used in the sacrifices God commanded the nation of Israel to offer. This anointing signified that the ones being anointed were authorized to serve as priests. And this holy anointing oil was so restricted in its usage, that if anyone used the holy anointing oil for any other purpose, or, if anyone concocted an oil that even smelled like the holy anointing oil, they were to be put to death! A different oil was also used to anoint Israel's kings, as sort of an inauguration ceremony, to signify their authority and legitimately assume their position as King. The one doing the anointing was often a prophet whom the people recognized as God's spokesperson, and therefore authorized to anoint a king. We can think of these words "anointing," or "anointed," as an Old Testament equivalent of what we commonly see today, when a president, governor or other high official is sworn into office by placing his hand on a Bible and taking the oath of office administered by a judge or other official. So then this term, Christ, defined as anointed, has a deeper meaning of authorized by God Himself to serve in the capacity or office given to him. The word "Messiah" comes from a Hebrew term meaning to smear or also to anoint. When objects were smeared with grease or oil they were said, by this Hebrew term, to be anointed; hence the commonly used term was "anoint" when grease or oil was applied to objects by Israelites. But the term "Messiah" was much more restricted in its usage. The name "Messiah" is not used to refer to "anointed" objects, but to people only. As said above, people who were anointed had been appointed and given authority for specific offices and tasks given to them. 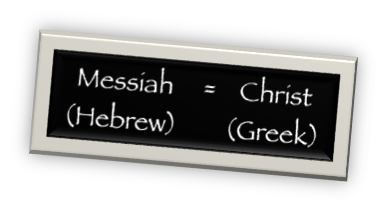 So, then, "Messiah" is the Hebrew equivalent of the Greek name, "Christ." 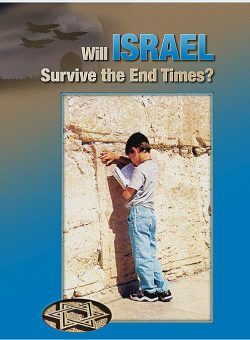 Now, since Old Testament times, Jews have been looking for the Messiah to come and fulfill all the prophecies that foretold his work of delivering Israel from their oppression as a people and their scattering as a nation. Even today, religious, and even non-religious Jews will say something like, "When Messiah comes, Israel will prosper, and the world will be a better place." So the name Messiah has a connotation of deliverer to the Jews, and this matches nicely with the equivalent name Christ, because ever since Jesus died and was resurrected, Christians have been looking forward to his return, or coming again as mankind's deliverer. So then, the name Messiah is associated with Jesus' return. 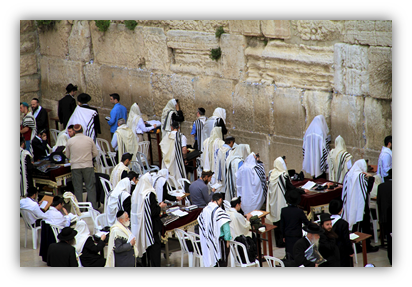 Now, Jews in general, do not believe that Jesus Christ is their long awaited Messiah, but when they see the establishment of His kingdom and how it meets and exceeds their grandest expectations, they will. This raises the question, when will Jesus, the Messiah, return and establish his kingdom on earth? Well, the scriptures give us a clue in Acts 3:20-21, "And he shall send Jesus Christ, which before was preached unto you: Whom the heaven must receive until the times of restitution of all things, which God hath spoken by the mouth of all his holy prophets since the world began." Without going into the detail it deserves, a study of this scripture tells us that Jesus could not return and establish his kingdom on earth until the times of restitution, or restoration, of all things, which times we are living in now. And the restitution, or restoration, of all things means to restore mankind and the earth to the perfection Adam and Eve enjoyed in the Garden of Eden. The correct understanding of restitution gives the answer to another question that has puzzled people for ages, namely, "If there is a God, why does he permit such evil in the world?" There is indeed a God, and when all mankind is restored to perfection as was Adam in the Garden of Eden, then all mankind will be tested individually, just as Adam was – obey God's law and live, or disobey God's law and die. And in that future test, mankind will have the enormous advantage of experience with sin and its consequences, which will enable them to choose life through obedience, and pass the test. And this doctrine of Restitution now gives us the third "R" in a trio of precious truths concerning salvation - Ransom, Resurrection and Restitution. Let's revisit the name Christ and expand its significance more directly to Christians. 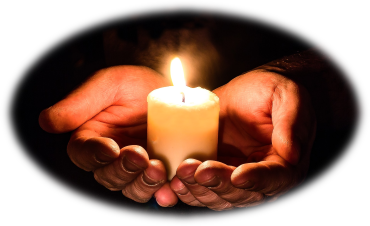 Colossians 1:26,27 says, "Even the mystery which hath been hid from ages and from generations, but now is made manifest to his saints: To whom God would make known what is the riches of the glory of this mystery among the Gentiles; which is, Christ in you, the hope of glory." This scripture says that there has been a mystery, a secret feature of God's plan of salvation, hid for ages. But now God wants us to know that secret, "Christ in you, the hope of glory." But what does that mean? This means that there are actually two resurrections, and therefore, two salvations – the first resurrection, happening now, to a salvation of glory, honor and immortality in heaven, for the very few who truly follow in Jesus' footsteps. Secondly, there is also a resurrection of the rest of mankind, as we have already seen, in the future, to God's kingdom on a perfect earth. The concept of two salvations answers the question, "Why is it taking so long for the kingdom that Jesus taught us to pray for, to come? It has been almost two thousand years since he told us about it." 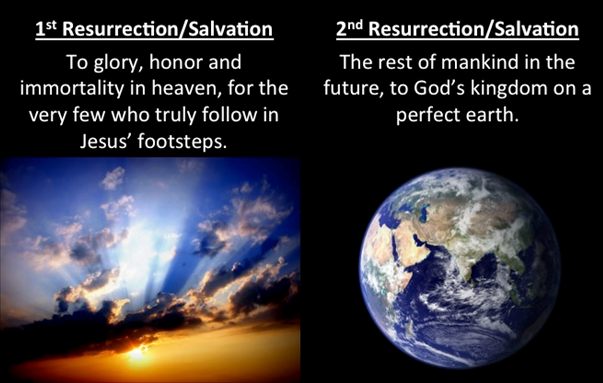 Before the resurrection of mankind and earthly salvation can begin (the second resurrection), the first resurrection to the heavenly salvation must be complete. Romans 8:19 confirms this, "For the earnest expectation of the creature (all mankind) waiteth for the manifestation of the sons of God (the completion of the group of footstep followers of Jesus)." All this truth is embodied in the name Christ – Jesus, the Anointed Redeemer, and the anointed group, his footstep followers, who will reign with him as kings and priests in his kingdom. We have examined several names and titles of Jesus and found in the meaning of those names, deeper illustrations of his teachings, life and work. In the name Jesus, we see his work of salvation, from death to life. The underlying doctrine in this work of salvation is one of the three "R's," the Ransom. Simply put, the Ransom is the satisfaction of God's just penalty upon Adam, and all mankind for Adam's disobedience in the Garden of Eden. Adam forfeited his perfect human life by disobedience to God's clearly stated law, namely, obey and live; disobey, and die. Jesus sacrificed his perfect human life on the cross, and so ransomed Adam and all mankind from that penalty of death, to be testified, or put into effect, in due time. In the names Wonderful, Counselor, the Mighty God, the Everlasting father, the Prince of Peace, we see the time for the ransom to be testified is in the coming kingdom on earth for which Jesus taught us to pray, "Thy Kingdom come." In that kingdom, the second of our three "R's," Resurrection will take place. Everyone who has ever lived will be raised from death to life by the Everlasting Father or life-giver, and taught by that Counselor in the peaceful kingdom. In the name Messiah we see the return of Jesus when the times of Restitution begin. And that process of resurrecting, teaching and guiding mankind back to the perfection enjoyed by Adam and Eve before sin entered the world is our third "R," Restitution, which means to restore to a previous state or condition. And in this case, that means restoring mankind to perfect bodies, perfect minds and perfect characters. And after that restitution work is complete, everyone in the kingdom will be equipped and ready to pass the same test that Adam failed, obey and live, or disobey and die. But this time, mankind will have the enormous advantage of experience with sin and its consequences, which will enable them to choose life through obedience and live. In the name Christ, which means "anointed" and is the New Testament equivalent of the Old Testament word Messiah, we see Jesus, authorized by God to be and do all the works required to accomplish the salvation of the world of mankind. And more than this, the scriptures tell us that there is also an anointed group of Jesus' true followers who are also called to be assistants in that work for mankind in the kingdom. These footstep followers will have their resurrection in heaven, followed by the resurrection for the remainder of mankind on earth. 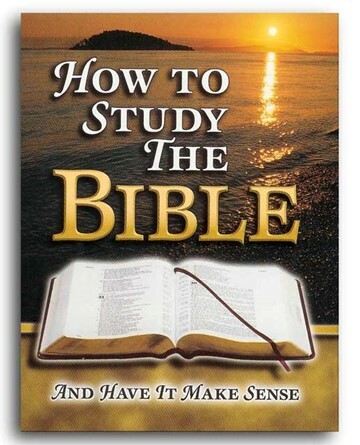 This is the key doctrine that very few students of the Bible have discovered. We have found answers to some important questions such as, "Why do we grow old and die?" As well as, "Why does God permit evil?" 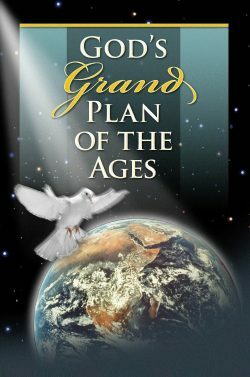 and, "Why is it taking so long for God's promised Kingdom to come and be fully established on the earth?" Along our way in learning about Jesus' life and work, we have gained some key insights into commonly held misconceptions that are not supported by the scriptures. We have seen that there is no hell of torment, and that man does not have an immortal soul. May these thoughts be spiritually uplifting and aid our appreciation and understanding of Jesus' life and work. Look at the original Hebrew and Greek words from which our English words are translated. Bible dictionaries and lexicons are available in print and online, to give us not only the definitions of those Hebrew and Greek words, but also other English words used to translate them. "Rightly divide the word of truth," that is, seek to apply every scripture to the correct time period -past, present, or future, and also try to apply every scripture to its correct group of people. Recognize which scriptures are literal and which are symbolic. Sometimes a seeming contradiction between two scriptures can be resolved by correctly doing this. The plainly literal statements of scripture must take precedence over symbolic scriptures.